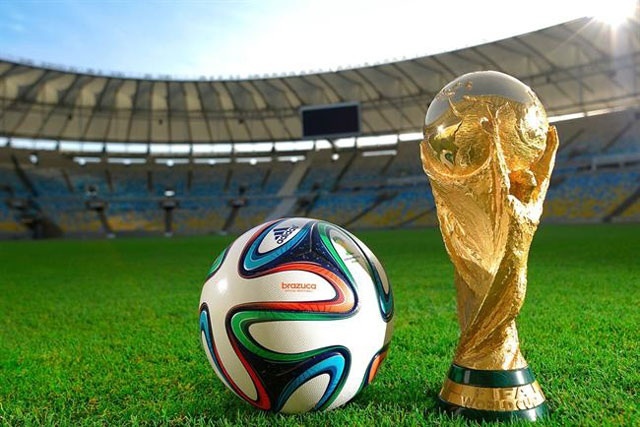 The Fifa World Cup will provide a $1.5bn (£882m) boost to the global advertising market in 2014, as large television audiences, rolling online news and pages of press coverage drives media consumption. Television is set to benefit the most, but this year’s football tournament in Brazil is also living up to the hype of being the most "social" World Cup, with brands spending more of their advertising budgets on social media activity than ever before. Unsurprisingly, ZenithOptimedia expects the World Cup to have the biggest impact in Latin America, where the matches in Brazil are ideally timed for viewers and will add as much as $500m (£295m) to media spend. In Western Europe, with many markets still in slow recovery, the event is forecast to bring an additional $300m (£177m) in spend to the region. A similar lift in advertising is expected from the World Cup in the US and Canada, despite lower levels of interest among the general population. Time differences in Asia Pacific, however, where many matches start early in the morning, will generate a lower level of additional spend of around $250m (£147m), according to today’s report. The remaining $150m is tipped to come from Central & Eastern Europe, the Middle East and North Africa, and the rest of the world. Television is still by some distance the dominant advertising medium, attracting 40 per cent of spend in 2013, nearly twice that taken by desktop and mobile together (21 per cent). The ZenithOptimedia report stated: "Television offers unparalleled capacity to build reach and establish brand awareness and associations. "We forecast television adspend to grow 4.6% in 2014, up from 4.0% in 2013, as it gains the most of the benefits of the Winter Olympics, the football World Cup and the mid-term US elections. "We then expect growth to fall back to 3.7% in 2015 before rising to 4.8% in the quadrennial year of 2016 (with the Summer Olympics, European football and US presidential election)." Despite this healthy growth, television’s share of global adspend is likely to fall slightly over the next few years as desktop and mobile internet activity take hold. The internet is the fastest growing medium, up 17.0 per cent in 2013, and forecast to continue to rise an average of 16 per cent over the next three years. Display is the fastest-growing sub-category, with 21 per cent of annual growth, thanks partly to the rapid rise of social media advertising, including Facebook, Twitter and YouTube, which is growing at 30 per cent a year. The report notes some broadcasters are starting to trade packages that include both online video and television spots. Online video is also starting to be sold by programmatic buying, providing advertisers with more control and better value. Online video is predicted to grow at 24 per cent a year for the rest of our forecast period, and paid search to grow at an average rate of 14 per cent a year to 2016. Online classified, which has taken the place of many print ads in newspapers and magazines, is expected to report average annual growth of 7 per cent during the same period. Mobile, including smartphones and tablets, is now the main driver of global adspend growth, forecast to contribute 38 per cent of all the extra adspend between 2013 and 2016 (again excluding markets where we don’t have a breakdown by medium).